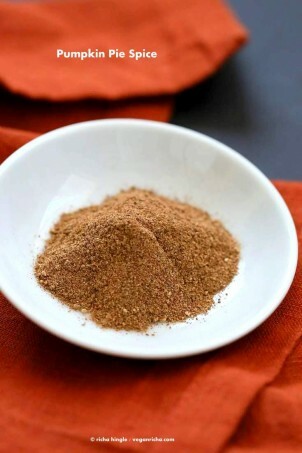 Easy Pumpkin Pie Spice Recipe. I use ground cinnamon, ginger, cloves and nutmeg. Sometimes I add a in a bit of mace and all spice for variation or for a festive spice blend. This recipe is very flexible. Adjust the amounts as you prefer. If you like it cinnamony, add more cinnamon, add more or less ginger and so on. Use it in Pumpkin Spice muffins, Latte, Pumpkin Caramel, Shortbread cookies, fall breakfast Loafs and more. Generally I eyeball and add the spices if I don’t have a premade mix. When I do make a mix, I make a smaller quantity to use up within the month. Freshly ground nutmeg adds a deeper flavor profile. Shawarma Spice Blend. Use it with chickpeas, cauliflower or anything. Doritos spice Blend – use it on tortilla chips, pasta, chickpeas and more! Pumpkin Pie Spice Recipe. 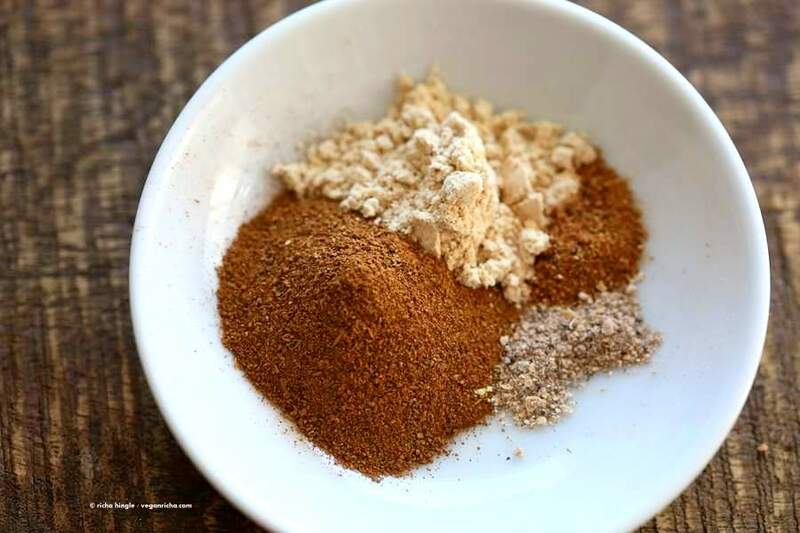 How to make Pumpkin Pie Spice blend. Easy, warm fall spices. Add to favorite fall drinks, pumpkin pie, muffins, breads. Makes about 2 Tablespoons. Mix all the spices and store in an airtight container. you can also use a spice grinder or blender to mix them in. Thank you Richa! I love everything pumpkin spice! Sorry, Richa, my first post was on my mobile, apparently it tried to auto-correct your name 🙂 My apologies and no disrespect intended. no problem! 🙂 I will edit it. Hey, does ground ginger mean, dry ginger powder (soonth)? This recipe sounds like it will smell divine. yes dry ginger powder – soonth. it does smell and taste fabulous in drinks, baking etc.